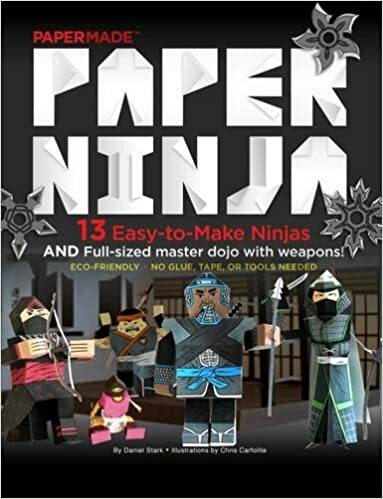 My boys all got an origami book and/or kit for Christmas. They were all so excited to break into them and I knew it would be perfect to ease us back into our school week after our two week break and a great way to add to our 100 Days of Art Challenge. It sure was a challenge! I just love introducing my boys to new art techniques. Alec has tried his hand at origami before and Evan had a page of origami light sabers inside one of his Star Wars Workbooks but this was totally new to Ian and on a whole different level than our other origami attempts. Evan was so eager to dive right in. He had no problem punching out the shapes to fold. He started with plain weapons and then worked his way up to one of the ninjas. Alec laid all of his sheets out first so he could see what he had to work with and then decide which one he wanted to put together first. Evan's completed Ninja-- he did need help tucking all the pieces in together. Once he had an assortment of weapons and a ninja made, Evan decided to try and put the dojang together. Alec's kit required the use of glue to hold the tabs together but his final little bunny was just adorable! He went on to put the boar together too. He wrapped up his morning by putting the owl together too. Evan's dojang all put together complete with a few of the weapons and his ninja. He later made a ninja dog too. These are so cool!!! I need to get these books for my son. 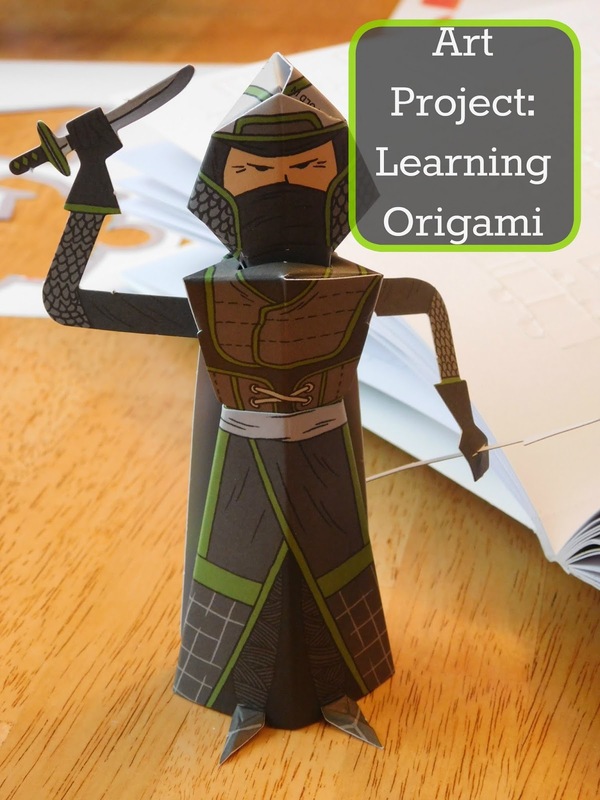 My boys would love the ninja origami! My youngest has been playing with it ever since we put it together. He still has a few more guys he can build and a few more weapons to punch out too. What fun!! Certainly takes origami to a whole new level! 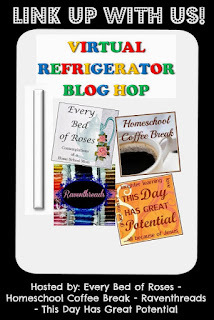 LOL Thanks for sharing on the Virtual Fridge! How cool! I think my boys would love these! It was a huge hit here... though it definitely takes a bit of patience. 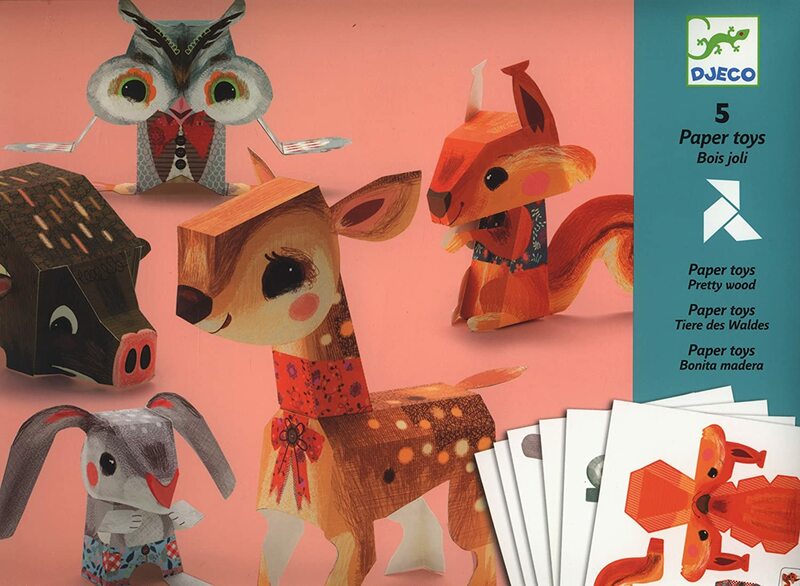 I didn't know there were so many fun origami kits out there and made especially fun with the little characters. Thanks for sharing at Funtastic Friday! It was surprising to see how much was out there! Cute art idea! Thanks for sharing at Home Sweet Home! interesting. My lad asks...why is the ninja holding the sword wrong?? You know, we wondered that too. That is the only "guy" we came across that had the weapon already attached to one hand and we too thought it was odd that he wasn't holding the handle. What a fun project! I love the bunny! That woodland creatures set was really adorable. I think the bunny was my favorite too.